Tymeron Carvalho, 27 years old, 1.84 m-tall, from Colombo, is Mister Supranational Sri Lanka 2018. With an advanced diploma in fashion design, Tymo, as he likes to be called, speaks three languages. He has created he´s own brand, which is Tymeron Carvalho, and also works as a part-time model. 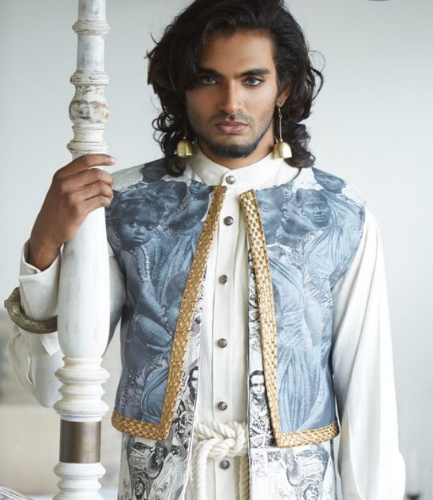 An art lover, Mister Supranational Sri Lanka is into painting, scupting, dancing and buiding costumes. Here goes an interesting piece of curiosity: he created the national costume worn by Miss Supranational Sri Lanka and 3rd runner-up at the international competition, Ornella Gunesekere! He also does counselling for people who faces psychological issues caused by LGBT discrimination. Tymo will joing other 40+ national titleholders in the search for the Mister Supranational 2018 title, on December 8th, live from Krynica-Zdroj, Poland.